Banc de Binary is probably the biggest binary options broker in the world, however their clients are, according to statistics, mostly from South Africa – which is very interesting. It is a privately held investment firm, founded in 2008. This broker is regulated not only by CySEC, but also by other regulatory authorities all over EU. NEW INFO: Banc de Binary was shut down in January, 2017. They do not accept any more traders anymore. We recommend to try trading with IQ Option instead. This broker accepts many clients from all over the world including Canda. All together, they accept clients from more than 100 countries not only in EU, but also in Africa, too. When talking about EU, banc de binary accepts clients from almost every country. For example, in European Union, the states which are supported are Italy, Poland, France, United Kingdom, Switzerland and Germany. If you want to register your account to banc de binary and you are from EU, you simply have to access their website with EU in it. You can not access the site from http://bancdebinary.com – you have to use http://eu.bancdebinary.com. If you try to access their website without EU. in the url, this popup appears. However if you simply press the blue button, you will be redirected promptly. Banc de Binary has many regulations all over Europe including the UK, CZ, France and Germany. 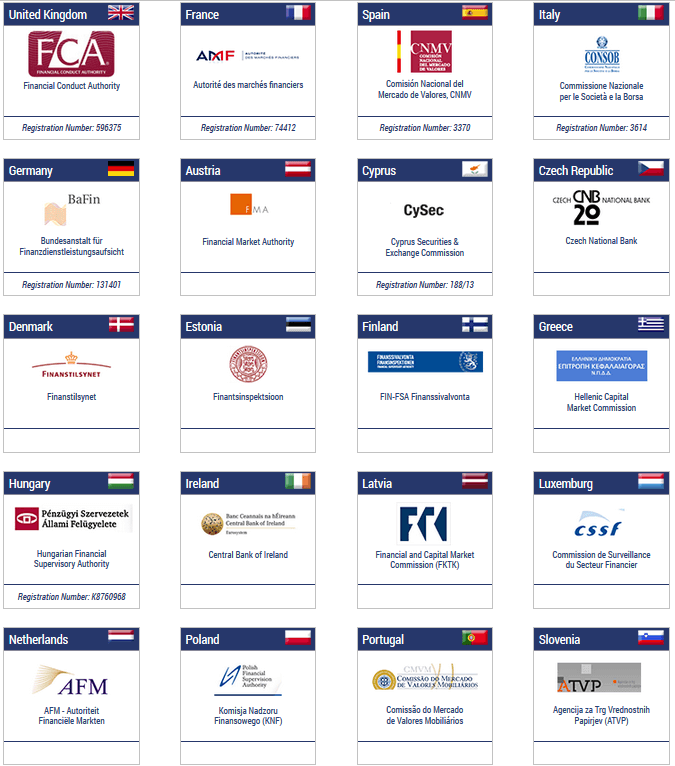 The list of the most interesting regulatory authorities in EU can be found underneath. In Europe, their clients are mostly from Italy and the UK. These two countries combined count up to a half of all visitors from European Union. Are you from Europe? And are you trading with Banc de Binary yet? Why not?